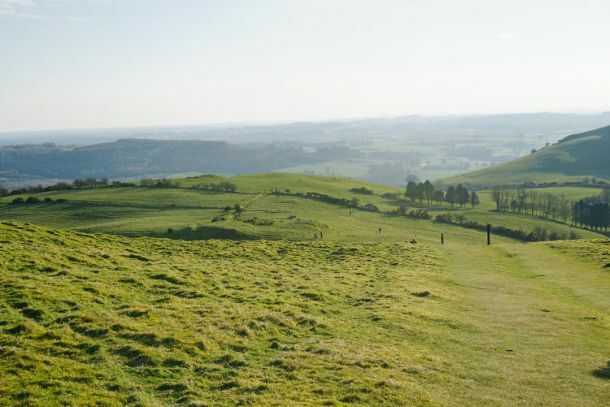 Ever wanted to go to Ireland for St. Patrick’s Day? 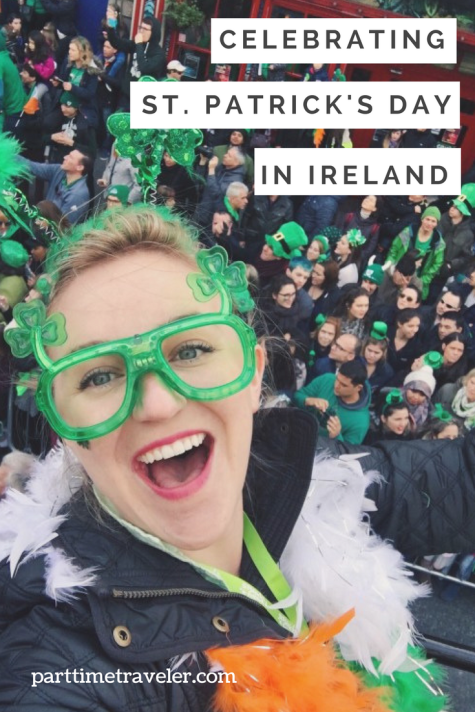 Here’s what you need to know to celebrate the holiday in Dublin, from my own experience. On this day, anybody and everybody is Irish. “Oh yeah, where’d you go? It’s a big country,” I said, stating the obvious in my jet-lagged state. “VEGAS.” The eyes of my cab driver from the airport in Dublin lit up. “We went to an Irish pub,” he continued. Something different was the bar at Planet Hollywood. A bucket of Coors Lite for $10. I suppose that is quite American. But what’s quite Irish, I wondered? This American would not be caught drinking Budweiser in Dublin, as I had been offered (it’s the best beer!) nearly ten years ago on my first visit to Ireland. 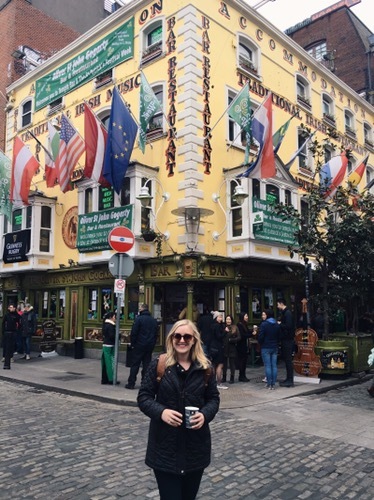 I was a student abroad in Barcelona, hanging out in Temple Bar for the weekend, and giddy at the prospect of ordering a pint of fresh Guinness as a nineteen-year-old. 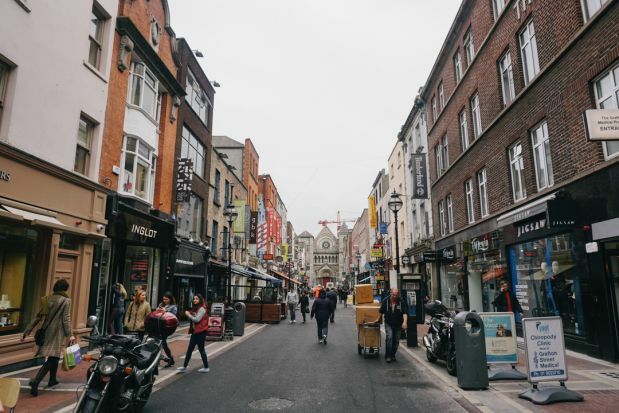 Arrive early into Dublin to allow a day or two of exploring Dublin before the festival and festival events. I’ve listed some recommendations for how to spend your time below. 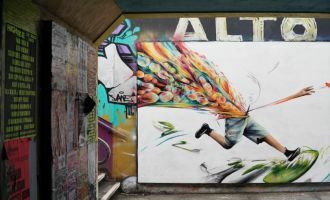 Dublin is rather walkable, and I preferred to stay in the city center for this reason. Otherwise, the city bikes and public bus are easy to use. On the day, check out the main event: the St. Patrick’s Day Festival and parade. It’s full of families and Irish pride, and less green beer and intoxication. Get there early (before 10 am) to snag the best spots along the two-mile parade route, and get ready to enjoy music, dance, art, and creative performance on the streets, from the traditional to the modern and from local to international. You can also purchase tickets for reserved seats in the grandstands in Parnell Square. The parade (here’s a map of the route) runs through the city from Parnell Square in the north to St. Patrick’s Cathedral to the south. It begins at 11 am, and the most direct views will be visible from O’Connell Street and Dame Street. The energy is palpable and the air buzzing with Irish cheer (a great feeling!) Don’t forget your face paint and/or shamrock wear. That evening, there’s no better way to cap off a day of activity than in a pub. Choose one that’s filled with families or seems light on the debauchery side if you’re feeling low-key. It’s that simple! Still my favorite dish to enjoy anywhere it’s traditional. My longtime favorite is Leo Burdock’s. I’d go to Ireland just to sit in a pub. I love how central they are to daily life there, and I never fail to make new friends. 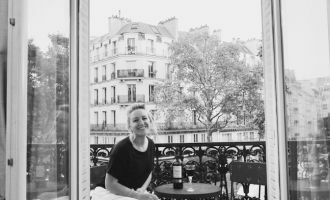 I still believe Irish people are the friendliest I’ve ever met traveling, and it’s a joy just to share a pint and talk with them about their lives. It’s easy to find good pubs anywhere in the city (just avoid those near Temple Bar and you’ll generally be good.) A few classic that have been recommended to me include The Bernard Shaw, The Brazen Head, and Toner’s Pub. I enjoyed East Side Tavern, which had live music playing and a St. Patrick’s Day gastropub menu. P.S. It’s a fact that Guinness tastes better in Ireland. The water and the brewing process in the country are unlike any other you’ve tasted outside of it. 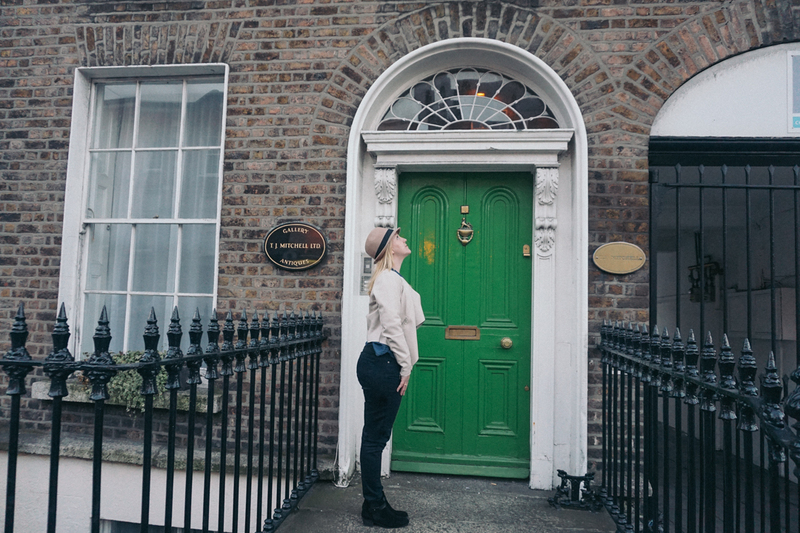 – Merrion Square: a beautiful residential area full of charming Georgian houses and Dublin’s famous, brightly-colored doors. – Ha’penny Bridge: used to cost a ha’penny to cross, now it’s free! A scenic old bridge crossing the River Liffey. – St. Steven’s Green: a giant green space in the middle of the city, it’s one of the most popular Dublin parks. 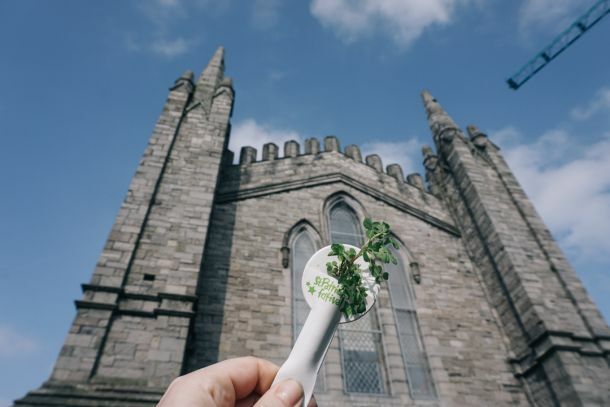 – St. Patrick’s Cathedral: the largest church in Ireland. And if you’re in town for St. Paddy’s, you must have a look! 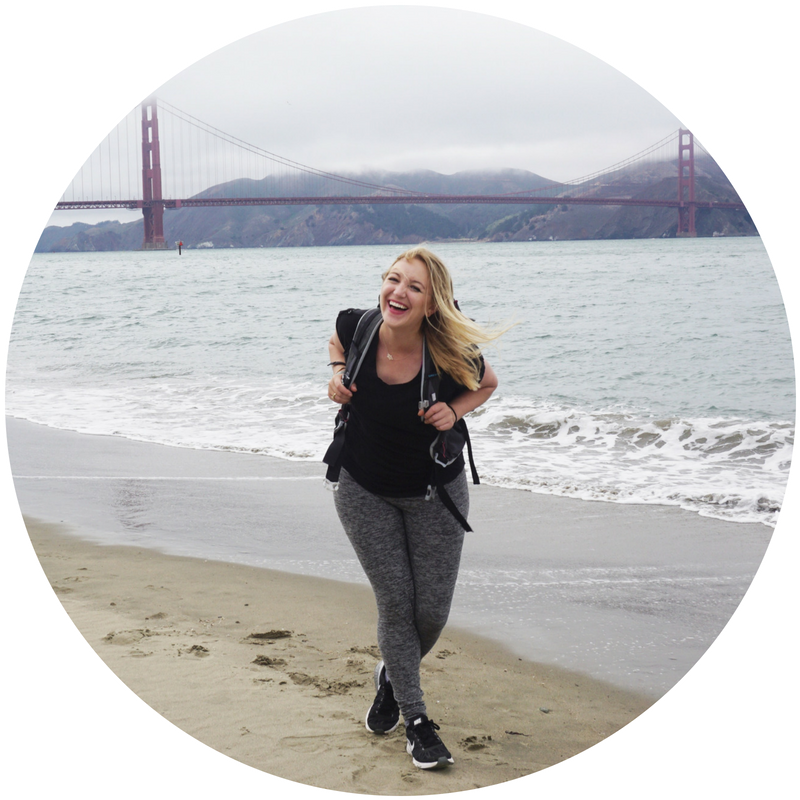 – Take a walking tour…even if you’ve seen sights on your own, locals tell the best stories! – Learn the significance of the monuments and the GPO (General Post Office) on O’Connell Street. – Visit the Famine Sculpture, a moving reminder of an important chapter of Irish history. 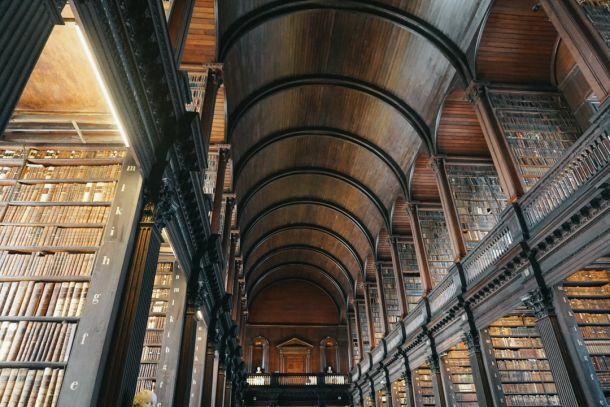 – See the incredible long room of the Trinity College Library and the Book of Kells, one of the oldest books in the world. 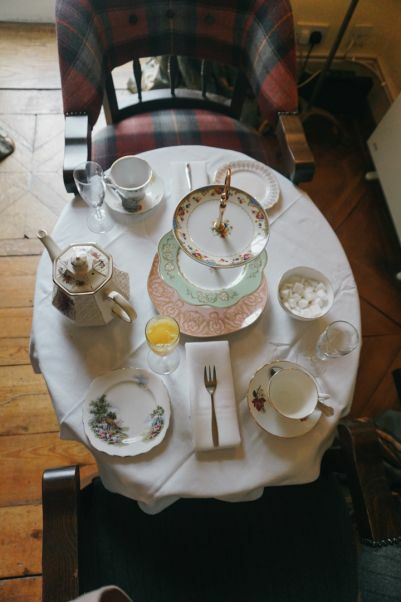 These are my top picks for Dublin hotels during the St. Patrick’s celebrations. 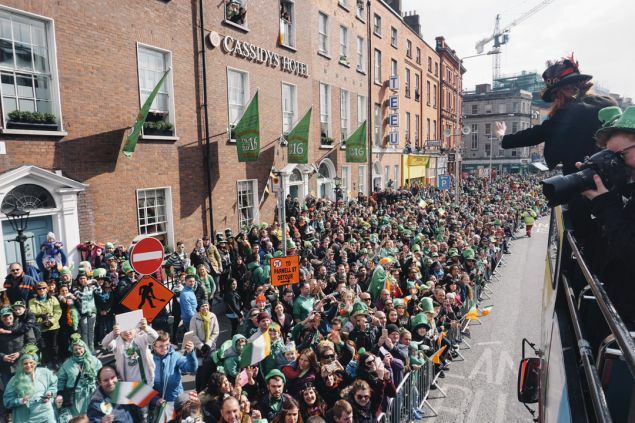 Keep in mind that the parade runs from Parnell Square, so that’s a great place to stay if you want to see the action but not necessarily be right in the middle of it. Castle Hotel: If you’re looking for something a bit more classic and quiet, this Georgian beauty is worth looking at for your stay. 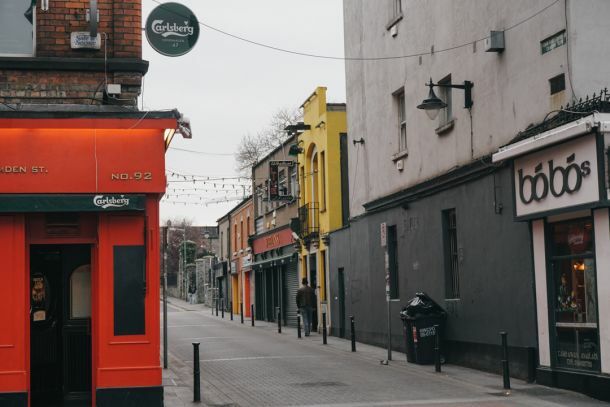 It’s elegant, comfortable, and only two minutes walking to O’Connell Street. The Wilder: Another favorite spot to stay, The Wilder has that beautiful brick exterior and an interior with a boutique luxury feel that’s tough to beat. It’s also right by St Stephen’s Green, one of my favorite park to walk and relax in in Dublin. Alternatively, I would do a quick search for an Airbnb to see what’s available. Filter your search by what’s closest to the city center if you want to reduce the hassle of getting through the crowds. 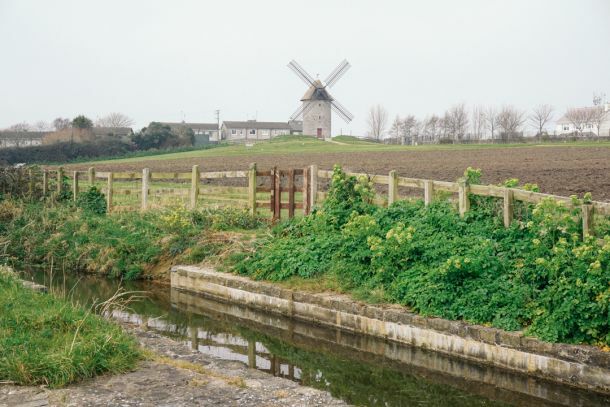 Howth is a beautiful coastal area with cliffs and walking trails that are worth the day/half-day trip there. Just 10 miles outside the city center, it feels worlds apart. You can get there easily on the DART train. 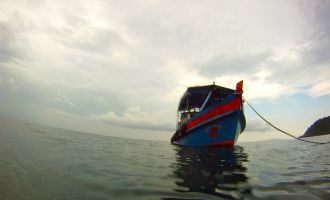 Don’t leave without eating fresh seafood. Skerries was another smaller town that I really enjoyed. The main sight here are the two old windmills, which give you a feel for the Irish countryside. It’s also a good place to enjoy fresh seafood and a pint, or go for a seaside walk. It’s a little more quaint and less bustling than Howth. Get there easily via the train from Connolly Station. Ardgillan Castle: a countryside castle home about 30 minutes driving from Dublin. 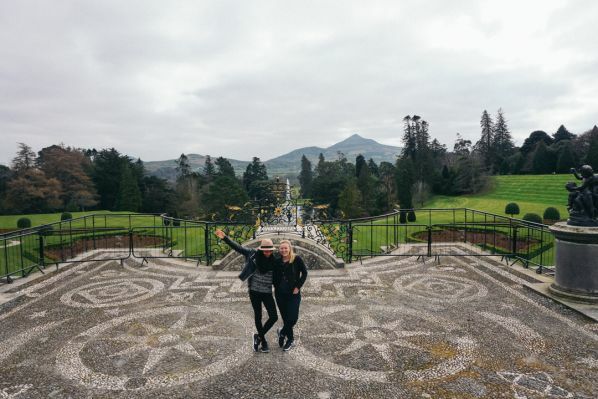 Powerscourt House: a stunning estate and gardens in Enniskerry, about 45 minutes from Dublin. Trim Castle: The Irish castle of my dreams (so far,) it’s the largest Norman castle in Ireland and it takes about an hour to get there from Dublin. 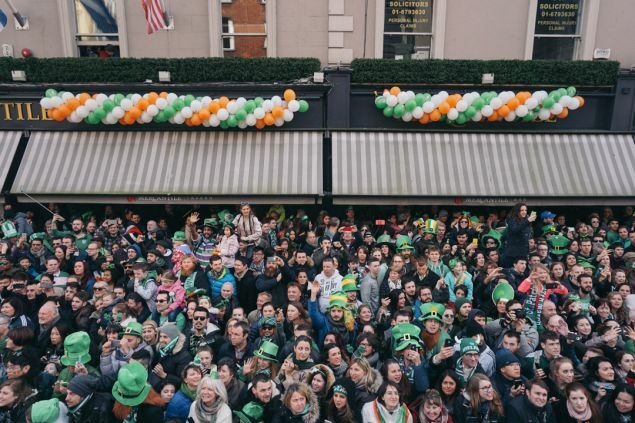 It’s always been curious to me why or how we celebrate being Irish so intensely worldwide, particularly in the United States. It’s quite amazing, really, the way come mid-March we all turn into Irishmen/women. 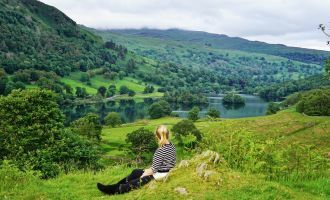 With some of the celebrations I’ve seen in America, I had long wondered with curiosity what it would be like to take the day to the next level…to its homeland. And while I certainly enjoyed my fair share of Guinness and Irish whiskey, green gear, and Irish flags the day of, what stood out to me most was unexpected. Instead of partiers stumbling home, I found families gathering and artistic expression in the streets. In the place of leprechaun decor, I found stone castles and green country hills. And beside historic buildings and an iconic literary legacy you can find a blossoming, vibrant, modern European city. What I loved most about St. Patrick’s Day in Ireland had very little to do with the image of it I had in my head. I went for the beer and joviality, but found the Ireland I had surely missed on my first visit. 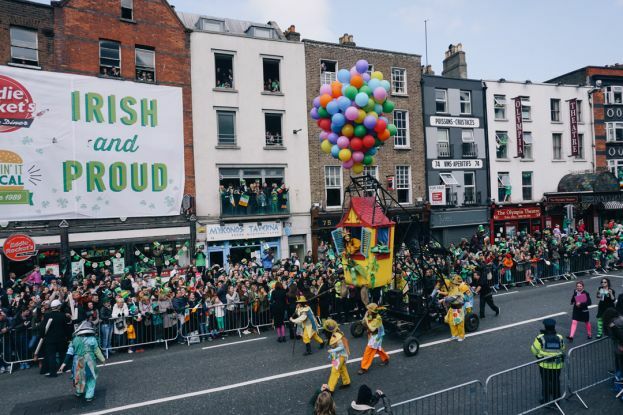 Just as there is (much) more to the United States than Las Vegas, there’s a lot of heart, history, and culture beyond the shamrock in Dublin, especially during St. Paddy’s. Though I’ll admit…it was still pretty fun to wear flashing wear shamrock glasses for the day. *Huge thanks to Tourism Ireland and Failte Ireland for inviting me to experience St. Patrick’s Day Dublin. Any and all content and opinions written here are entirely and wholly my own. As a German, I say nothing compares to the oktoberfest parties in the autumn. Neither the feelign of gemütlichkeit nor the beer. However, since they are in different months and season, I say enjoy them both! Oh that’s lovely to hear! Have the best time in Ireland!! I live already four years in Ireland as a Dutch. Yesterday it was St Patrick’s Day. It is really a very special day and I enjoyed the parade very much and the fact that everything is green! It’s such a fun event! Ireland is a special place 🙂 glad you enjoy living there! I will be in Dublin on St Patrick’s. Where would you suggest we stay for ac great view and be involved in the activities. ?